Launch from the Baikonur Cosmodrome; landing with Soyuz 27 spacecraft 310 km west of Tselinograd. 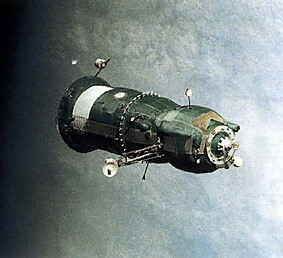 Following a one day solo flight Soyuz 26 docked with the space station Salyut 6 on December 11, 1977. The staying time there was 95 days. 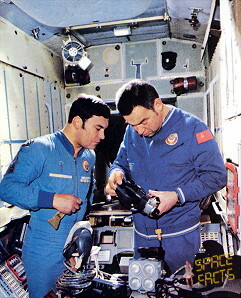 An SEVA by Yuri Romanenko and Georgi Grechko occurred on December 19, 1977 (1h 28m), inspecting the Salyut 6 docking port. 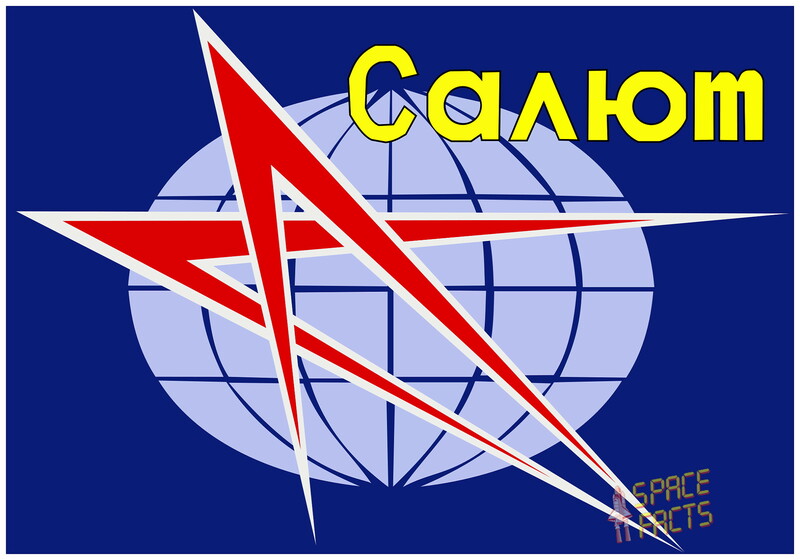 The inspection confirmed that the Soyuz 25 spacecraft docking unit was at fault in its failure to hard dock, and that its docking attempts had left the Salyut 6 front port undamaged. It was later revealed that a potentially dangerous incident occurred during the EVA. 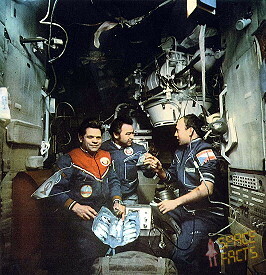 Once Georgi Grechko was back in the airlock, Yuri Romanenko asked to look outside, so Georgi Grechko moved aside and Yuri Romanenko pushed hard against the airlock. He did not have his safety tether attached and began to float away from the station and thrash about. Georgi Grechko grabbed his commander by his untethered safety line and pulled him back in. 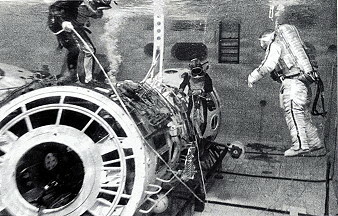 The first Soviet EVA since 1969, was originally planned as a test of the Orlan-D suit in the depressurized transfer compartment at the front of Salyut 6. The Orlan-D was based on the Orlan lunar EVA suit, the most distinctive features of which were a hard torso, adjustable soft limbs, and simple self-donning via a hatch in the back. The hatch cover contained life support equipment, removing the need for external hoses. The Orlan lunar suit was designed to be used by one cosmonaut on a single mission. Orlan-D, as the redesigned suit was called, was to remain aboard a station for up to 2 years and be used by several cosmonauts. The suit operated at 40 kpascal (5.8 psi), permitting a pure oxygen prebreathe period of only 30 minutes. 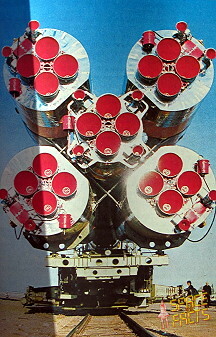 For Salyut 6, EVA duration was limited to about 3 hours. A waist tether with a "snap lock" tether hook for attaching to handrails outside the station was considered integral to the suit. The Orlan-D relied for electrical power and voice communications on an umbilical plugged into a socket in the space station transfer compartment. Numerous experiments were carried out over the next few weeks. 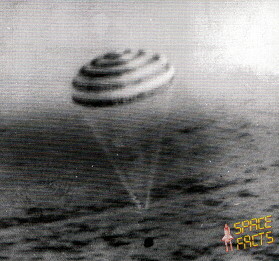 Since this was an attempt to set a new space-endurance record, much of the focus of the mission was on medical experimentation. But other research was also done. Earth observations were made December 21, 1977 of the Soviet Union and of forest fires in Africa, and a new navigation system was tested on December 25, 1977. By January 03, 1978, the crew requested more work as they were nearly finished setting up the station. The station required refueling by mid-January 1978, and this was to be accomplished by a new unmanned supply tanker, Progress. 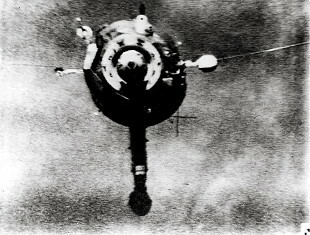 But the tanker had to dock at the aft port where the propellant line connections were, and Soyuz 26 was docked there. Mission control was not yet willing to attempt to redock the Soyuz at the other port, a now-standard practice. Accordingly, a new crew was sent up on another Soyuz spacecraft to dock at the forward port, and depart in the parked Soyuz 26 spacecraft. 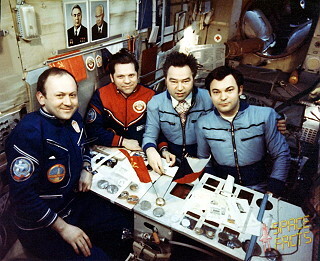 On January 10, 1978 Soyuz 27 docked without incident at the front port carrying cosmonauts Oleg Makarov and Vladimir Dzhanibekov, who formed the first visiting crew in the Soviet space station program (or, for that matter, in any space station program). For the docking, the first resident crew withdrew to their Soyuz 26 spacecraft and sealed the hatch into Salyut 6 behind them. This was done in the event of a depressurization emergency associated with the docking of Soyuz 27. There was also some concern that stresses and vibrations produced when the 7-ton Soyuz 27 spacecraft contacted the front port might transmit through Salyut 6, forcibly uncoupling Soyuz 26 from the rear port. 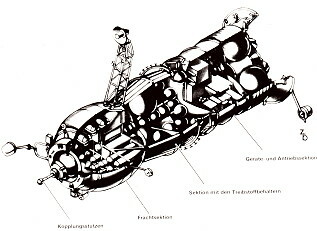 The Soyuz 27-Salyut 6-Soyuz 26 combination massed about 33,000 kg and featured seven compartments: two descent modules, two orbital modules, the transfer compartment, the work compartment, and the small aft intermediate compartment. 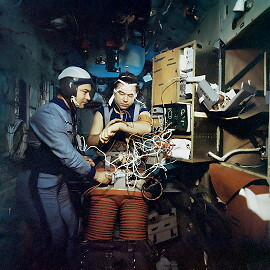 The four cosmonauts conducted many experiments, including Rezonans, which was designed to determine if resonant frequencies might threaten the structural integrity of the three-spacecraft combination. 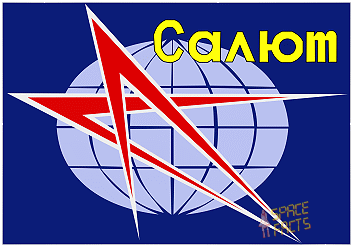 The experiment called for the cosmonauts to jump around Salyut 6 on command from the TsUP. 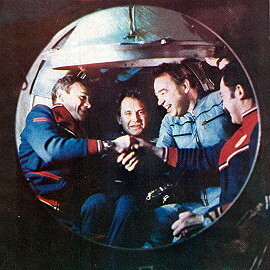 The guest crew spent 5 days on Salyut 6, then returned to Earth in Soyuz 26, leaving the fresh Soyuz 27 spacecraft for the first resident crew. This was the first of many such spacecraft swaps. 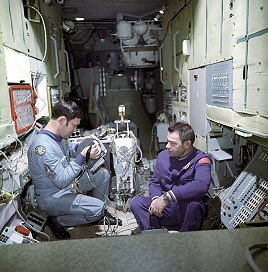 The visiting crew brought supplies such as food, books and letters, equipment and a French biological experiment, and Vladimir Dzhanibekov, an electronics expert, inspected the station's electrical system. 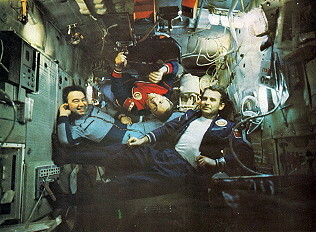 On January 13, 1978 the crews performed for the first time the now-routine exchange of seat liners and centering weights in their respective Soyuz craft. The liners are custom molded for each space traveler, and are needed for launch and landing, and the weights are needed to ensure a proper center of mass for the returning craft so it does not undershoot or overshoot the landing target. While the main reason for the Soyuz swap was to free the aft port for the Progress, another reason was that extended exposure to space of the vehicle leads to degradation of its engine and propellant seals. 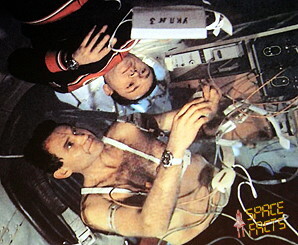 A now-standard experiment called "Rezonans" was carried out, which tested the stresses of the multi-spacecraft structure by simply having the cosmonauts jump up and down. This made the aft port free for an unmanned freighter. The first Progress delivered what would become the standard manifest of food, air, water, and fuel. 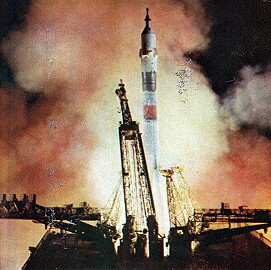 The supply ship remained docked to the station from January 22, 1978 - February 06, 1978. In Progress' early days the cosmonauts rushed to unload delivered supplies and reload the Progress with waste. For the first Progress refuelling operation, the first resident crew fastidiously inspected Salyut 6's fuel lines for leaks for several days. Fuel and oxidizer were transferred on February 02, 1978 and February 03, 1978. On February 05, 1978 nitrogen from Progress 1 purged the lines so they would not spill toxic propellant onto the docking drogue when the supply ship undocked. 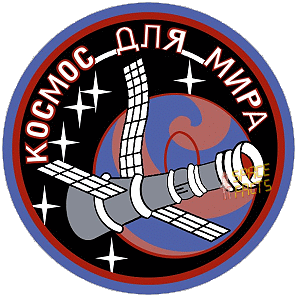 On March 03, 1978 the first resident crew received the first Interkosmos mission. 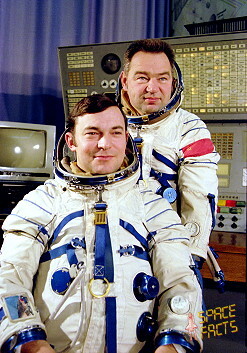 Aleksei Gubarev and Vladimir Remek formed the visiting expedition, launched aboard Soyuz 28. 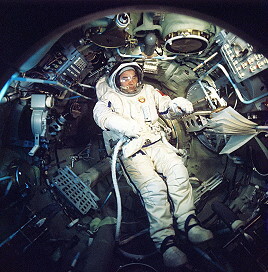 Vladimir Remek, a Czech, was the first non-U.S./ non-Soviet space traveler. 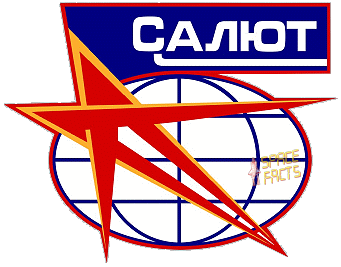 He flew as part of Interkosmos, a program of co-operative space activities between the Soviet Union and other countries (especially those in the eastern bloc). Vladimir Remek's experiment program touched on life sciences, materials processing, and upper atmosphere research. The Soyuz 28 crew left in the craft they arrived in, and returned to Earth March 10, 1978. No exchange of craft was contemplated as the resident crew was due to return soon themselves. 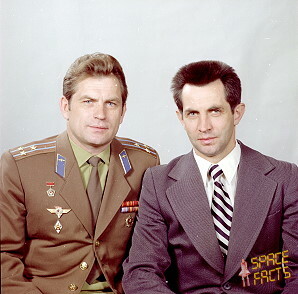 During the visit, one of the Soyuz 28 crew informed Yuri Romanenko that Georgi Grechko's father had died. It was left to his judgment whether he should inform him during the mission or after they landed. He decided to wait for the completion of the mission. 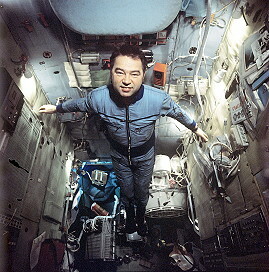 By the end of the mission, Yuri Romanenko had developed an excruciating toothache, but there was little to stop the pain with on the station. All doctors at mission control could suggest was that he should wash his mouth with warm water and keep warm. By the end of the mission - only six days after the Soyuz 28 crew's landing - a nerve had been exposed. Last update on August 22, 2018.